There are times when you need a specific knife for a certain situation. 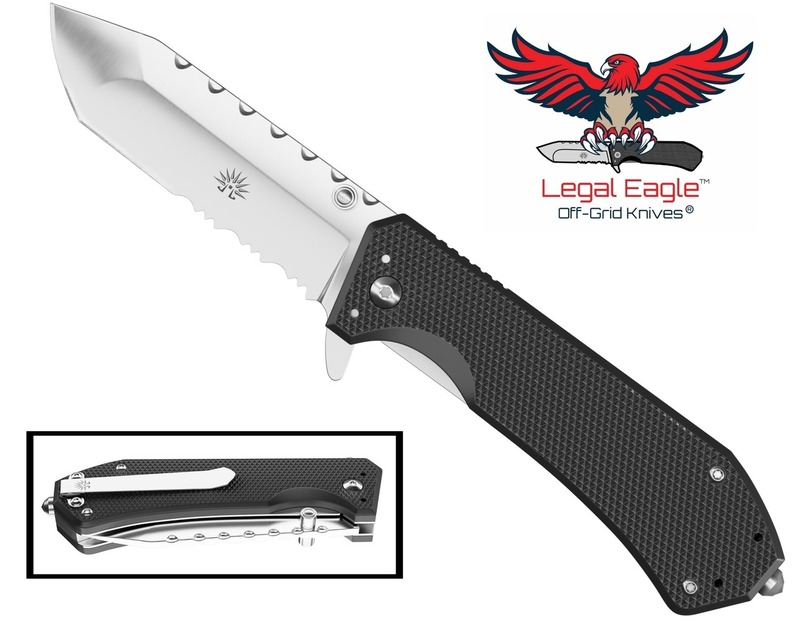 The tactical tanto folding knife is for those times when you may be heading out into the wilderness, and you want to be prepared. The shape of the blade is essential. Since this knife may be the only one you have, it needs a strong tip, be able to pierce the skin of the game you are preparing or puncture the skin of an attacker. The blade needs to lock open since you’ll likely be using it at varying angles and pressures. Ensure it’s a durable lock that will keep you safe from accidentally injuring yourself. The handle should be synthetic, for better sanitation, and preferably be textured. The texturing improves grip in wet or muddy conditions and can prevent loss of the knife. The knife edge should be straight, though semi-serrated works as well. When choosing between the two, it’s more a matter of preference. Serrated edges have advantages in certain situations but are not always flexible enough in tactical situations. A tanto has an extremely strong tip, as there’s a lot of steel behind it, and was originally designed to punch through armor. While the knife doesn’t have enough belly to comfortably skin game, it has enough to slice into the game or foodstuffs and can be made to work. Tantos are fairly easy to sharpen in the field, more so than blades that have a significant belly to them, although the two edges mean it takes a bit longer. We are committed to providing you with the best buying experience possible, so reach out to us today and let us provide you with the right edged blade for your needs.